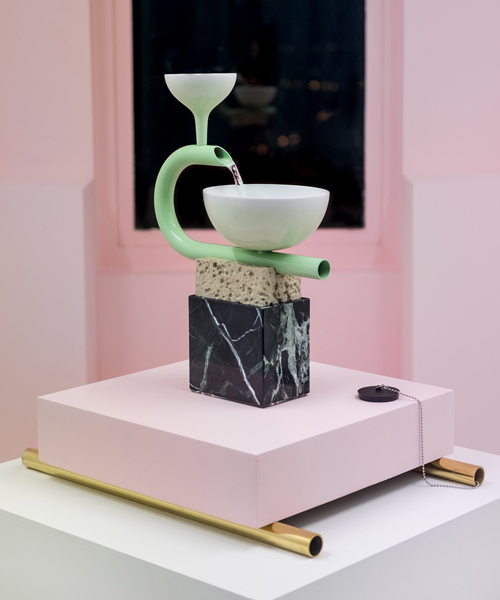 french designer arthur hoffner has designed a series of fountains combining ancient forms with unexpected materials. 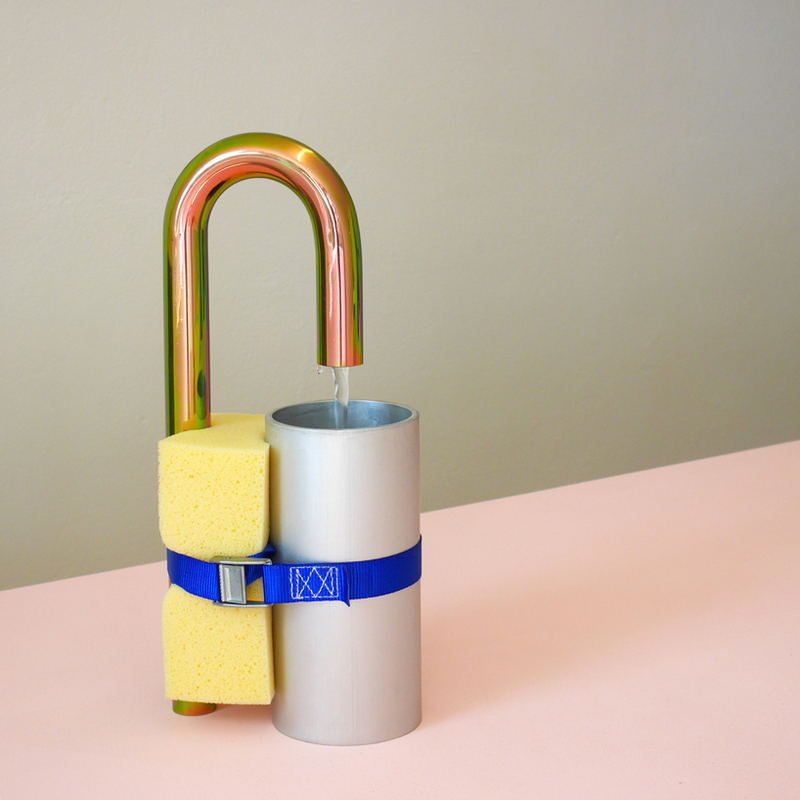 the sculptural objects combine ancient forms with industrial plumping materials like syphons, chromed tubes, copper pipe collars and PVC vessels. hoffner riffs on the idea of an indoor fountain, disregarding its lavish decoration in favour of domestic utensils. 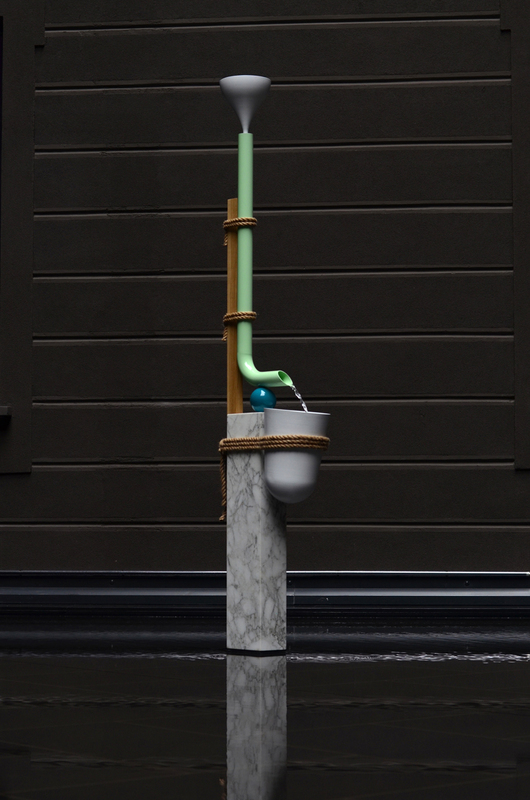 funnels, sponges, lengths of recycled piping, bowls and marble, are chosen for their associations with water. 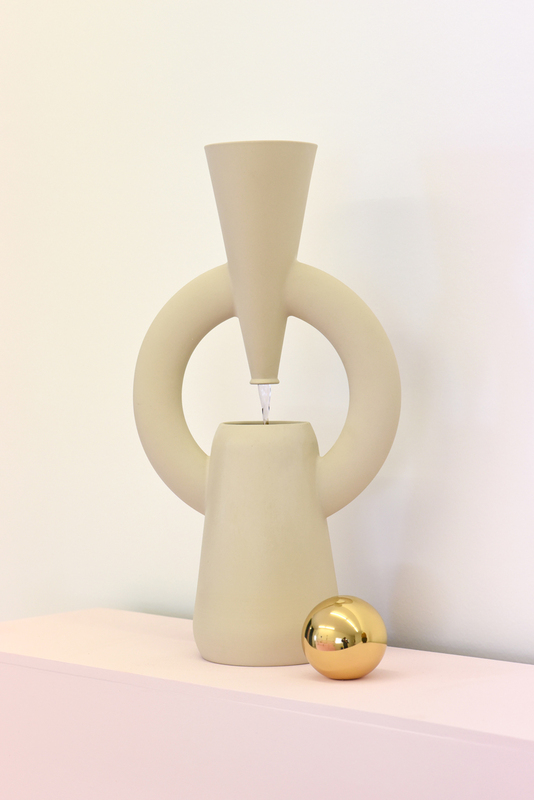 the materials are combined with pieces of rope, assembled in such a way that recalls marcel duchamp’s readymades or ettore sottsass‘ ceramic totems. 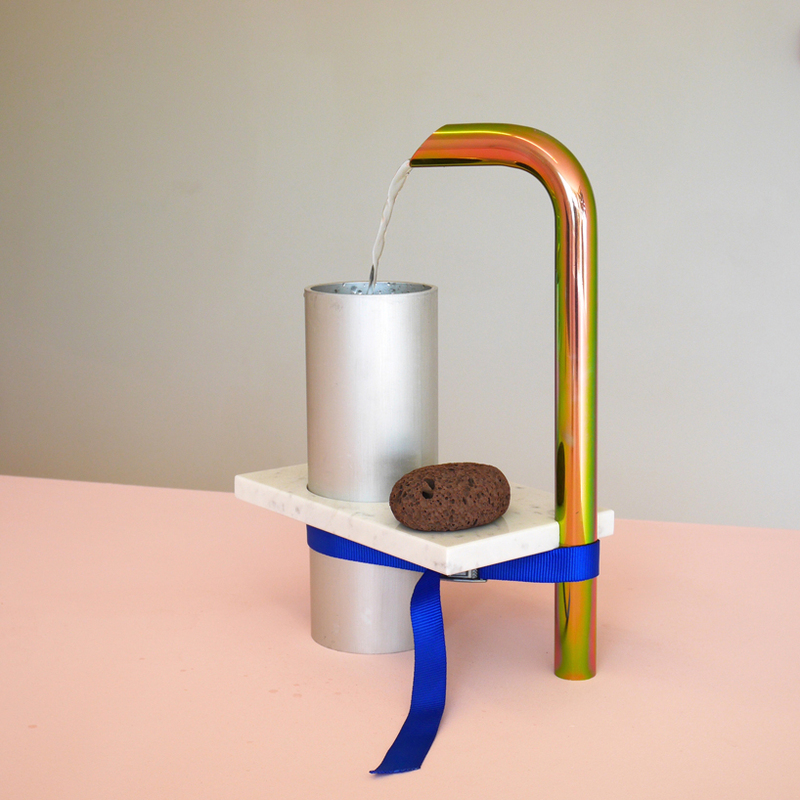 together, the assembled parts of each fountain form the mechanism that produces the stream of water, whilst presenting a dialogue between materials, shapes and construct. 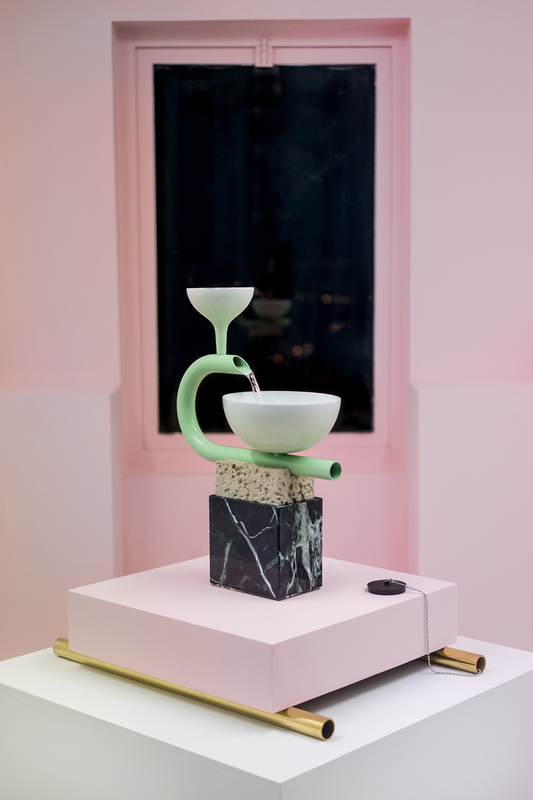 with his fountains series, hoffner won the public award at the latest design parade at villa noailles, in hyères where they are on exhibit from 29 june 14 september. the designer first presented fountains at the senato hotel courtyard pool during milan design week 2018.